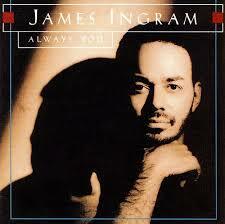 R&B singer James Ingram, who collected two Grammy Awards and a pair of No. 1 Billboard Hot 100 hits over his decades-long career, has died at age 66. R&B singer James Ingram, who collected two Grammy Awards and a pair of No. 1 Billboard Hot 100 hits over his decades-long career, has died at age 66. The news was shared via Twitter by Ingram's friend and creative partner Debbie Allenon Tuesday (Jan. 29). There are no details yet about when or how Ingram died. "I have lost my dearest friend and creative partner James Ingram to the Celestial Choir," Allen tweeted. "He will always be cherished, loved and remembered for his genius, his love of family and his humanity. I am blessed to have been so close. We will forever speak his name." The singer collected two Grammys during his career: His song "One Hundred Ways" won best male R&B performance in 1981 and his duet with Michael McDonald on "Yah Mo B There" won best R&B performance by a duo or group with vocals in 1984. He was also nominated for back-to-back best original song Oscars in 1993 and 1994, for co-writing "The Day I Fall in Love" from Beethoven's 2nd and "Look What Love Has Done" from Junior. Ingram charted nine hits on the Hot 100, including a pair of No. 1s: "Baby Come to Me," with Patti Austin, in 1983, and "I Don't Have the Heart" in 1990. Other top 20-charting Hot 100 hits included "Just Once" (No. 17 in 1981, Quincy Jones featuring Ingram), "Yah Mo Be There" (No. 19 in 1984, with Michael McDonald) and "Somewhere Out There" (No. 2 in 1987, with Linda Ronstadt). He also logged 19 hits on the Adult Contemporary airplay chart and 18 entries on the Hot R&B/Hip-Hop Songs chart. He also tallied hits as a songwriter, co-penning Michael Jackson's top 10 Hot 100 hit "P.Y.T. (Pretty Young Thing)," from the Thriller album, as well as songs recorded by Pointer Sisters, George Benson, Ray Charles, Shalamar and others. Older PostMaroon 5 has canceled its news conference to discuss the band’s Super Bowl halftime performance, choosing to not meet with reporters as most acts have done.